It's June and summer is often a time when people hit the road, either literally or figuratively, and travel. Many people head to Europe to take advantage of the long days and nice weather, and Germany is a popular destination. From the Black Forest to the Glockenspiel in Munich, from Brandenberg Gate in Berlin to the Dom in Cologne, there is a ton to see and do in Germany. 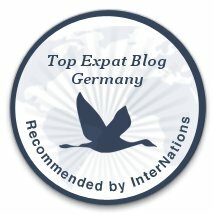 If you're planning a trip to Germany this summer, here is the ultimate itinerary to get the most out of your time here. Arrive in Frankfurt. From the Frankfurt train station, hop on a train to Cologne and spend the afternoon exploring the city. Maybe take a short nap (be careful not to nap for too long!) to recover a bit from the jet lag. 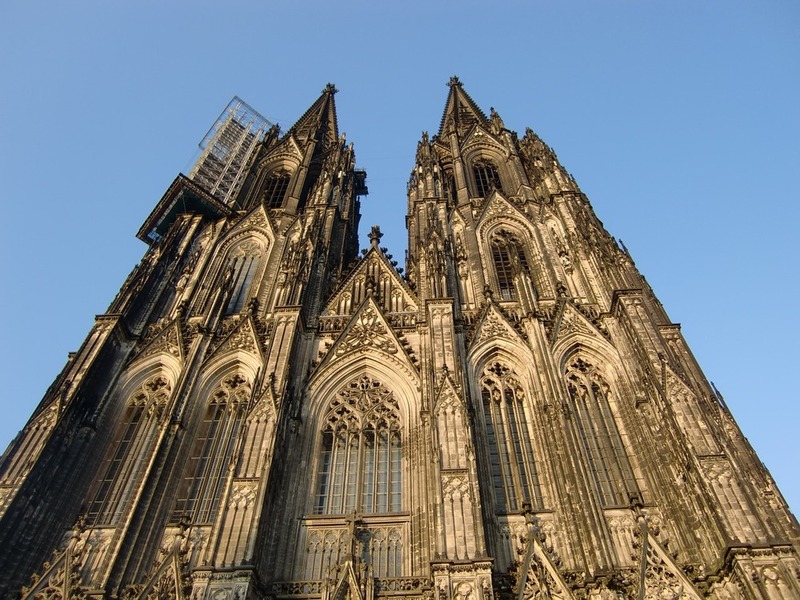 Hit the ground running in Cologne by visiting the impressive Dom. Make sure to climb the tower there. Hint, the earlier you go, the fewer people and the cooler the temperatures. From there, head to the Lindt Chocolate Museum. Grab lunch at one of the many river-side restaurants. If you drink, make sure to try a Kolsch, a style of beer unique to Cologne served in 0.2L glasses. Don't be afraid to order more than 1. In the afternoon, head to the zoo for a relaxing, but animal-filled afternoon. The ABSOLUTELY stunning Cathedral in Cologne - make sure you climb the tower! Get on a train and head to Munich. Opt for the Regional Bahn that follows the Rhein for fantastic views before switching to a high speed train. The trip will take most of the day, but will be the longest travel day of the trip. Once in Munich, head to the Biergarten in Englisher Garten to enjoy a refreshing beer (beware, these are served in 1L mugs! For a lighter drink, opt for a radler which is beer mixed with lemonaid). Personal Tip: Stay at Hotel Laimer Hof. It's a little ways outside of the city center in a quiet residential area, but the owners are some of the friendliest people you will meet. Trust us! #Throwback to our first visit to Germany in 2009! Spend the day exploring Munich. Make sure to watch the world-famous Glockenspiel at 11:00 AM and then head to the Hofbrauhaus for a traditional Bavarian lunch of roasted chicken and a beer. In the afternoon, cool off in the air conditioned Deutsches Museum where you can learn about anything and everything science and technology related. The mine exhibit is really well done and you'll even feel like you're underground! Enjoying a Mass (1 Liter of beer!) at the Hofbrauhaus - make sure you make friends with your tablemates. Here there were Spanish, American, Russian, and Germans! 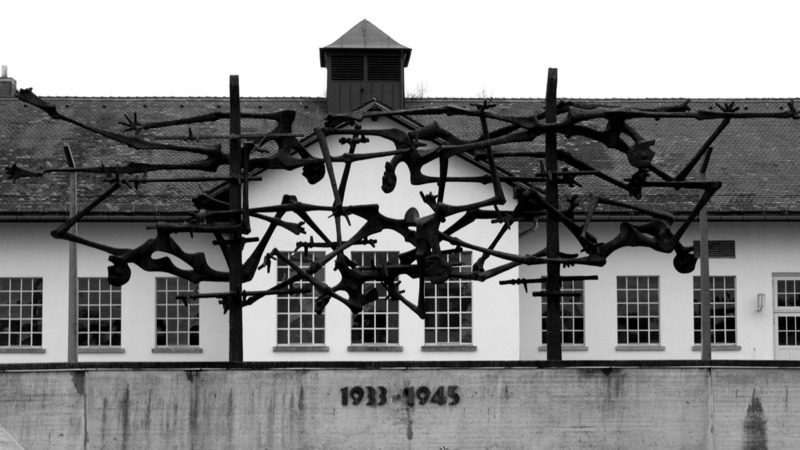 Remember World War II and those who lost their lives to National Socialism by visiting the Dachau Concentration Camp. A quick day trip from Munich, this will be one of the most humbling experiences you will ever have. Take a day trip to either Fussen to visit the Neuschwanstein castle or to Zugspitze to take in the views from the top of the tallest mountain in Germany. Board a train to take you from Munich to Triberg in the Black Forest. Spend the afternoon browsing for a cuckoo clock, eating Black Forest cake at a cafe, visit the World's largest cuckoo clock, or maybe hike out to the waterfall there. Next it's on to Baden-Baden. Plan a couple of hours (minimum of 3) at the famous Roman Irish baths at Friederichsbad. Sweat in the dry sauna, relax in a steam bath, and then soak in the many baths they have. In the afternoon, take the funicular to the top of Merkur mountain. If you're the thrill seeking type, book an excursion to go hang gliding. If not, you can stay on the ground and hike or just enjoy a glass of wine and the view from the top. Enjoy the quiet and relaxing atmosphere of Baden Baden in the evening. Hop up to Heidelberg for your last full day in Germany. Hike up, or take the funicular, to the castle to see the largest wine barrel you could ever image and enjoy the birds eye view of the city. Stroll through the altstadt and do some shopping making sure to stop by the Kathe Wolfahrt store to pick up an authentic wooden German Christmas ornament. Head back to the airport to fly home and then immediately begin planning your next trip to Germany because you've realized that 10 days is not nearly enough time!